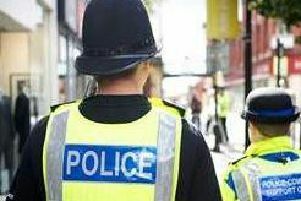 A man was kicked twice in the head and had his bag stolen during an unprovoked attack on a bus in Blackpool, say police. Police received reports of the incident which happened just before 5pm on Tuesday January 16 when a black Renault Clio pulled up in front of a bus which was parked up at a bus stop on Talbot Road. The two men are said to have exited the vehicle and made their way on to the bus. One of them then approached a male passenger and was verbally aggressive. Police say, another man stole his mobile phone, before dragging a bag from a second victim. The second victim was then kicked twice in the head. Three men, aged 29 and 30 were arrested in connection with the offence. They have been released under investigation. Officers are looking to speak to the man pictured on CCTV in relation to incident. Anyone with information can contact police by emailing 6857@lancashire.pnn.police.uk or calling 101, quoting log number 922 of 16th January. Alternatively, independent charity Crimestoppers can be contacted anonymously 0800 555111 or online at crimestoppers-uk.org.